As a photographer, I am merely an enthusiastic opportunist. As a sailor, I am inclined towards small boat pottering- see the page on Fleur. Happily, these two rewarding activities come together rather well and this is largely what Watermarks is all about. 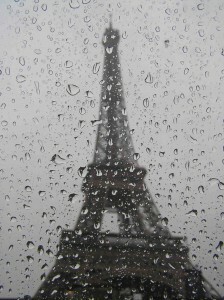 As people of an island nation, most of us like to look upon the sea, if only through rain spattered glasses some-times. But the photographs are not exclusively about boats and the sea, other topics are here as well: people, places, things and some simply because I like them. And there are tales too- traveller’s tales about faraway places. I’d like to think you will enjoy them. Travel broadens the mind, it can also make your feet ache. But if you travel far enough you will meet yourself coming in the opposite direction and give a little nod and shake hands on a job well done. During the Nineteenth Century, South Wales exploded into industrial activity; previously peaceful valleys were turned on their head. Iron, coal, the railways arrival and great docks all along the coast; at Newport, Cardiff, Penarth, Barry, Port Talbot and Swansea. South Wales became the crucible of the Industrial Revolution. Men from all across the land, and seaman from all over the world arrived eager to be part of it all. The docks became a land of opportunity; peaceful coastal communities were transformed; overcrowding, disease, prostitution, violence and dishonesty were everywhere. Into this mix of blood, sweat and coal dust came the dock police, charged with keeping a lid on rough communities bent on self-intent. Crime and murderous violence were rife; it took a breed of hard men to step in and take control and they remained for more than a hundred years. Over time the different forces amalgamated to become the British Transport Police. Then in the mid-1980s came privatisation and containerisation; it was perceived that the police had done their job and were no longer needed. So, in 1985, the last dock policeman locked the police station door, got into his car and drove away. 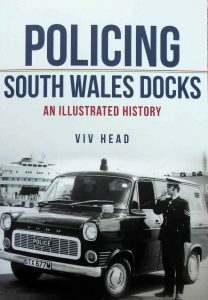 Policing South Wales Docks provides an illustrated insight into some of the darker and lighter moments of the dock coppers’ working lives. You won’t be surprised to know that they weren’t always angels themselves, but they do deserve to be remembered. As an ex dock copper in the 1970s I have fond memories of my time at Cardiff Docks, it was quite an experience! A book packed full of great photos and interesting stories. Recounting maritme heritage from right around the globe. Bristol Channel pilot cutters with a world wide reputation, John Cabot setting out from Bristol in his tiny ship, Matthew, to diiscover America, mutiny and murder on the Cutty Sark, famous Antarctic exploration ships, working boats, racing yachts and training ships. These and many more make it a truly riveting read. Available at £14.99 from Amazon and book shops everywhere. ‘Sailing Gaffers’ is it the boats or is it the people? 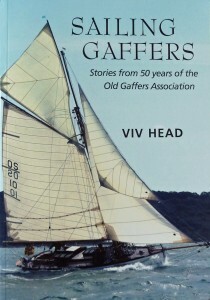 Sailing Gaffers – Available now! Sailing Gaffers celebrating 50 years of the OGA, the Association of Gaff Rig Sailing. 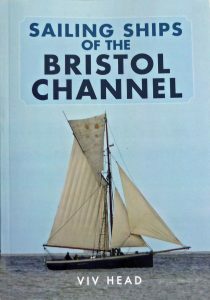 A celebration, full of stories of people, boats and sailing. If you would like to buy a copy, click here.